For those who have never studied Chinese, the Chinese language remains an incredibly mysterious entity. 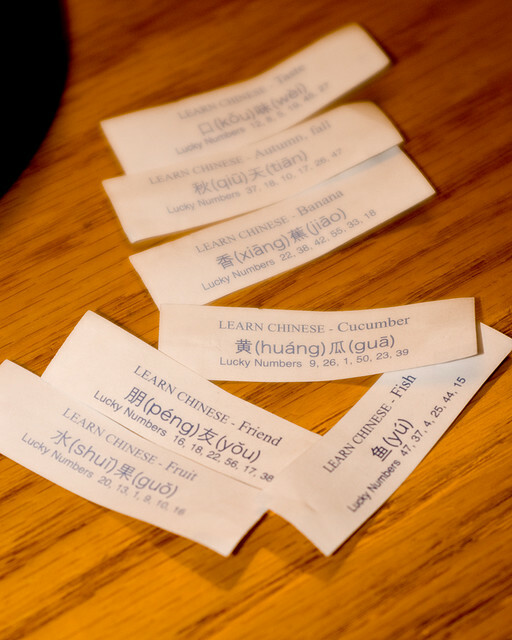 You’re not alone—in fact, Chinese remains one of the most difficult languages to learn, along with such languages as Japanese, Korean, and Arabic. Why is learning Chinese so difficult? Although tools such as Waygo assist foreigners navigate Chinese with translations, it still proves helpful to take a step back and actually learn some basics of the language. One can easily become overwhelmed with Chinese, as it introduces some entirely new concepts you’ve never heard of before. As one of my favorite Chinese saying goes, 慢慢来 (mànmàn lái), or easy goes it. Today we’ll cover just 3 important concepts in attempt of demystifying this intimidating language, perhaps inspiring you to take on the challenge of learning Chinese further. Stay tuned for future posts where we will introduce and deep-dive into other topics! 1. Mandarin vs. Cantonese: What’s the difference? Does Waygo speak Mandarin or Cantonese? Mandarin and Cantonese are 2 of the many spoken dialects in China. Mandarin is the primary language in Mainland China, Singapore, and Taiwan, while Cantonese is the primary language in Hong Kong, Macau, and the surrounding area of Guangdong province. Mandarin and Cantonese are written identically, just differing in the pronunciation. This means someone who only speaks Mandarin and someone who only speaks Cantonese could communicate by writing to one another, but couldn’t communicate speaking. You could say the two are as different from another as listening to Spanish and French. There are dozens of more dialects within China beyond just these two. However, more and more people are learning Mandarin, an attempt by the government to prevent language barriers. Since the majority of dialects use the same Chinese characters, subtitles are always displayed on TV shows, so even if someone has never studied Mandarin, they could enjoy and understand TV by reading the characters. 2. Simplified vs. Traditional: Are these the same language? Is one harder than the other? 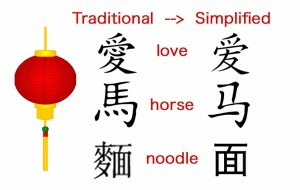 Simplified characters are the standard form of characters in Mainland China and Singapore. The government developed this simplified writing system back in the 1950s to encourage literacy, since these characters require fewer numbers of strokes than their traditional equivalents. Traditional characters are still used today in Hong Kong, Macao, Taiwan, and most overseas Chinese communities. Most mainland Chinese can recognize traditional characters (but might struggle if writing by hand, relying completely on memory) since most pop culture—karaoke lyrics included—are displayed in traditional characters since so much of China’s pop culture comes from Taiwan and Hong Kong. Simplified characters can still contain close to 20 strokes, making them no easy feat at all! If you are trying to decide which set of characters to study, Waygo recommends studying the set used by the country that you are looking at living in or traveling to. Whichever you choose, knowing some of the most common characters and radicals (the components that make up characters) in both simplified and traditional would be helpful. 3. Chinese is a tonal language. There are 4 tones in Mandarin Chinese, plus 1 neutral tone. Cantonese has 7 tones, but we will focus on Mandarin tones since Mandarin is the more common of the two dialects. Now that Waygo includes pinyin along with each translation, you have the opportunity to practice tones. Let’s try an example with the example sound of “ma.” This video goes through the different tones of ma. 妈骑马。马慢，妈妈骂马。 (Māmā qí mǎ. Mǎ màn, māmā mà mǎ. ): Mother is riding a horse. The horse slows down, and mother scolds the horse. This will be a great tongue twister to know during the Year of the Horse. Try it out next time you meet a Chinese speaker! P.S. For a review of Chinese numerals, take a trip back in time to revisit this blog post. ← Waygo Speaks 日本の, too!